Samsung launched the Galaxy S Light Luxury on Monday in China. The device is a Galaxy S8 with a cheaper chipset. Samsung has retained a lot of flagship features with the device. 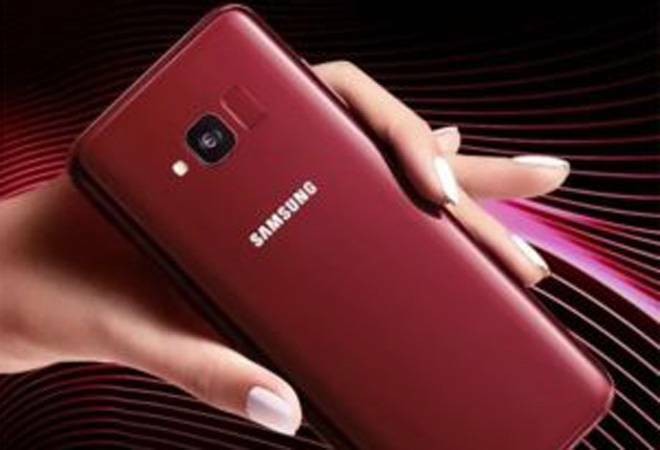 Samsung launched the Galaxy S Light Luxury on Monday in China. The device is a Galaxy S8 with a cheaper chipset. Samsung has retained a lot of flagship features with the device. The company launched the device at a rather low profile launch event with an exclusive gathering of around 100 people. The Galaxy S Light Luxury was being expected to be called the Samsung Galaxy S8 Lite. However, Samsung chose to give it an all new name, which could indicate to a new smartphone series by the South Korean tech giant. Let's start with what makes the Galaxy S Light Luxury not a Galaxy S8, the processor. The new phone sports a Snapdragon 660 chipset and not a Snapdragon 835 that is found on the Samsung Galaxy S8. When it comes to design, there's hardly any differentiating factor including the button layout on the phone. The device features the same Bixby button too. The dimensions of the device are identical to the point of decimals. However, the new phone is around 5 grams lighter than the Galaxy S8. That weight issue could be attributed to the difference in glass covering both sides of the new device. On the Galaxy S8, the phone is covered with Corning Gorilla Glass 5. Coming to other specifications about the screen, the Galaxy S Light Luxury features a 5.8-inch Super AMOLED screen with a screen to body ration of 84.2 per cent (slightly better that Galaxy S8's 83.6 per cent). The phone has a trimmed down FullHD+ resolution when compared to Galaxy S8. The device features a different camera as well. The primary camera is a 16 megapixel unit with f/1.7 aperture. It seems Samsung has given a miss to the OIS on the S Light Luxury. The secondary camera is an 8 megapixel unit which comes with an f/1.7 aperture. The phone has all the flagship-phone goodies like wireless charging, IP68 water and dust protection and iris scanner. The phone makes a good case for itself by ticking almost all the right boxes for a premium mid-ranger. However, the adoption will depend on the prices of the device. The Galaxy S Light Luxury comes in a single variant with 4GB RAM and 64GB internal storage which is priced at CNY 3,999 (approximately Rs 42,700). The phone's internal storage can be expanded via MicroSD card of up to 400GB. The device will be available in two colours, Black and Burgundy Red.